On me: Zara shirt and skirt, Primark flats. On him: H&M shirt, WE sweater, Cheap Monday jeans and vintage shoes. I'm not really one for Valentine's, so I deliberately saved the lovey-dovey crap for a week later. Haha, no, it was actually a coincidence that we were wearing really matchy outfits and I thought it was too good not to share. so cute pictures! I really love this outfit! You're very naturaly pretty and I reeeeally love your shirt! I love this skirt!! Wow. I need one like this! These pictures are great, you both look so lovely. The colors really go together. I am following you now, yay! If you get a chance and want to check out my blog as well, it is http://bthefashion.blogspot.com. So sweet!You're adorable!Both outfits are really great! Your blouse is fantastic! So beautiful! Aw you guys are so cute together! you're made for eachother, the look, the style, everything fits. love this post, it makes me happy. love the ruffle detail on your top and the polka dot skirt! You both are so incredibly cute. 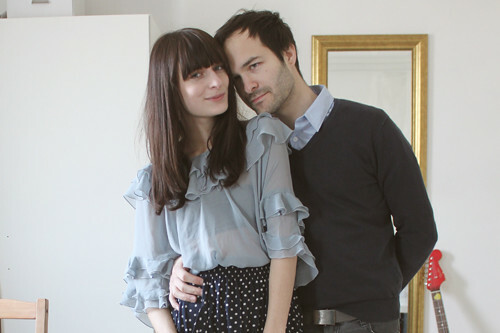 I really love your sheer blouse as well, so romantic and feminine! Aww you both look so lovely! Your house looks very stylish too. love it! you're so adorable! Just found you on Chictopia. Love your style and your blog. You two look perfect together, and both so stylish. Adorable pictures and great looks on both. I'm glad you got to be romantic in the end! love the top and the polka skirt dear! You two are so so lovely together! 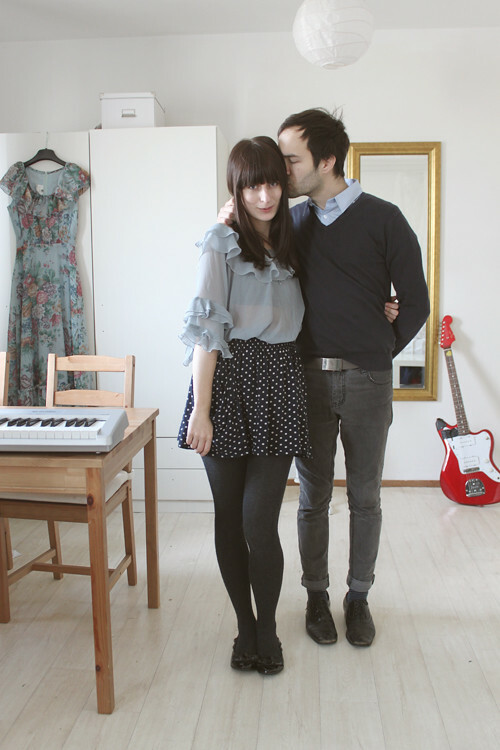 sweet outfit and you two are so cute! 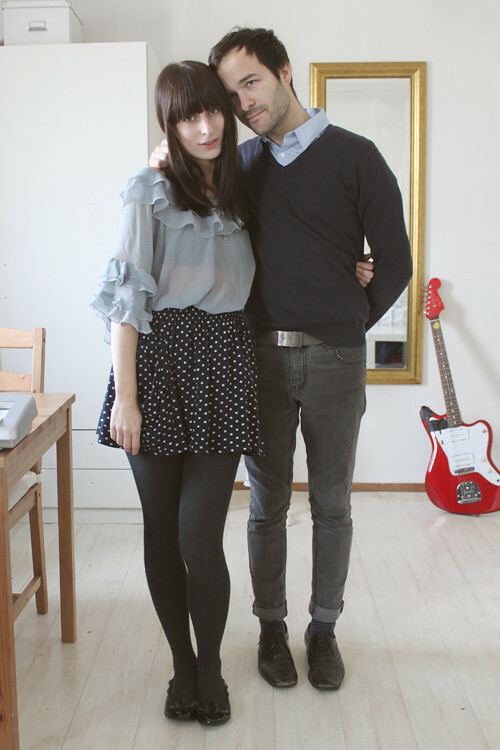 so stylish couple! love it! i used to love when this would happen with the boy i was dating! so cute. Win 40$ to spend at Beta Boutique!